Click the button below to read the full interview. 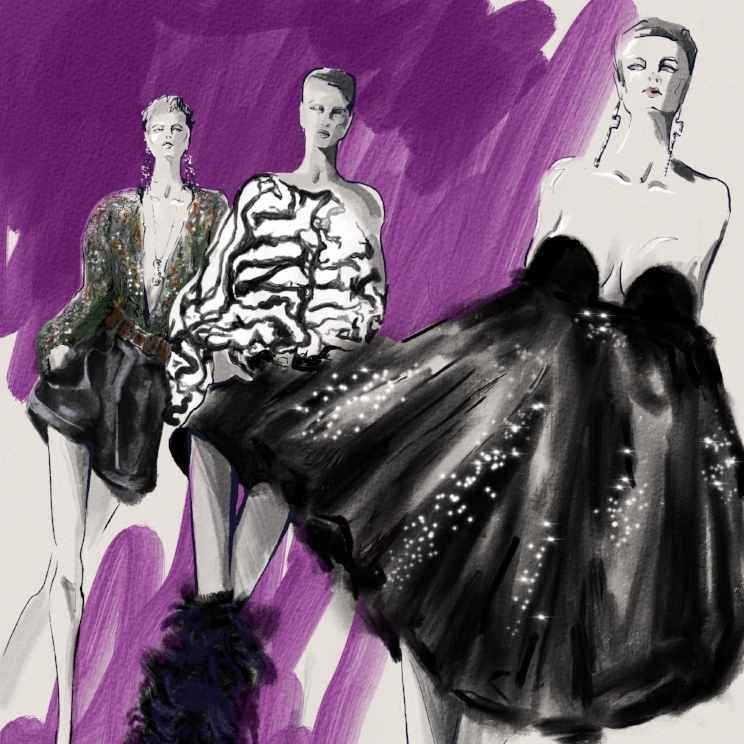 Click the link below to read Zack's article about Anthony Vaccarello's creative direction at Maison Saint Laurent and view Zack's illustration of Saint Laurent's 2018 Spring-Summer collection. For the Summer 2017 issue of Stalletto Magazine, Zack created a series of six editorial, fashion illustrations to accompany a fashion story entitled, "Flowers of Havana." The story and Zack's illustration spread focus on the glamorous heyday of Havana, Cuba throughout the 1950's - before the island nation became embroiled in revolution. Read the story and view the illustrations by clicking on the button below. "For as long as there has been fashion design, there has been fashion illustration. Besides being the primary form by which designers have brainstormed their ideas onto paper, these illustrations have often served as important works of art in themselves. 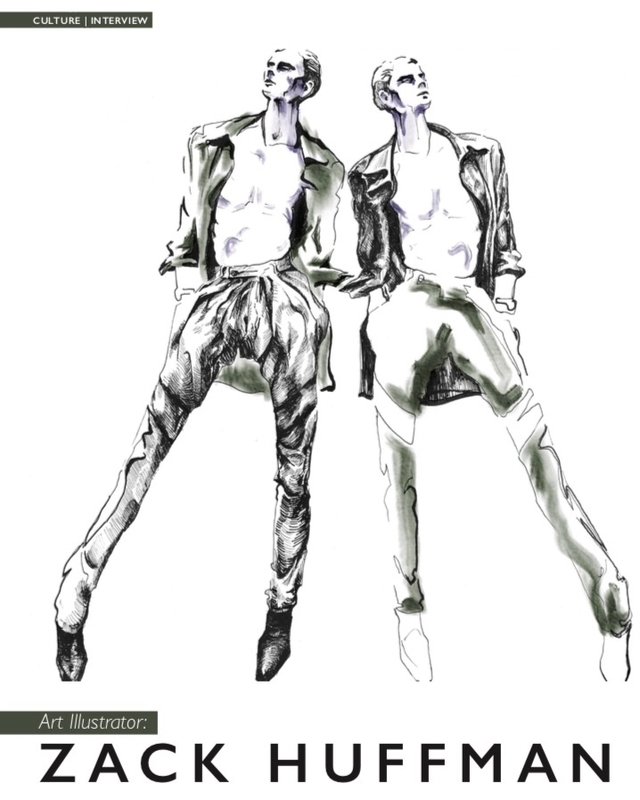 Zack Huffman is a fashion illustrator creating mixed media drawings and paintings for clients in the fashion, beauty, and lifestyle industries. The team here at Phantom Sway has admired Zack’s work for quite some time. His delicate and graceful renderings call to mind the fashion magazine illustrations of the 1940's and 50's, and they are just gorgeous. When he is not busy drawing, Zack works as a freelance art director and fashion/culture writer in Washington, D.C. We caught up with the artist to ask him a few questions about his work and the source of his inspiration."